The McCalmans Lyrics And Guitar Chords. These are the songs most associated with The McCalmans. The group recorded many more and many are in the Scottish section, some more of their songs were also recorded by The Corries. 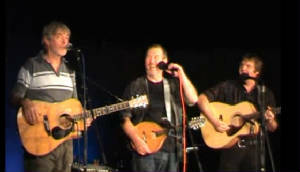 The McCalmans are one of the finest folk groups to come from Scotland along with The Corries and Runrig. The majority of the chords in this section were worked out by Marc. The band called it a day in 2010 and retired after 46 years on the road, but their music lives on.